BrightSign has announced that a trio of leading CMS providers are now compatible with the company’s media players. 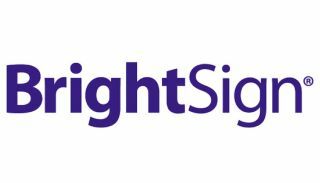 ComQi, Four Winds Interactive, and Signagelive have all integrated their platforms with BrightSign’s Series 3 family of media players and validated them as compatible with their respective CMS platforms. Content is critical when using digital signage to create immersive digital experiences. It’s essential that signage hardware and content work together seamlessly, which is why it’s important that CMS vendors test and certify media players that are best suited to work with their content creation and management platforms. Four Winds Interactive creates enterprise Visual Communications software. The company aims to make it easier to deploy content to any screen, through one integrated software platform that allows customers to deploy preconfigured applications or build applications of their own. BrightSign’s new Series 3 XD and XT digital signage media players have been tested and are fully compatible with FWI’s full portfolio of visual communications solutions. The companies’ successful integration actually began much earlier to support a major installation at the T-Mobile Arena. Signagelive is a cloud-based digital signage CMS platform, used by more than 1,700 networks in 43 countries. Its cloud-based servers support over 3.4 million connections daily. Customers using Signagelive on BrightSign players get access to the recently announced Signagelive Marketplace, containing more than 500 free backgrounds, editable templates, and widgets.